Home » Reporting » The Lie As A Project Management Tool? The Lie As A Project Management Tool? Cornell University professor Jeffrey Hancock tracked the communications of 30 undergraduates in 2004 and found they lied in 37 percent of phone calls, 25 percent of face-to-face conversations, and only 14 percent of e-mails. He says this is because conversations are ephemeral, but e-mails leave a permanent trail, which you already know if you’ve fired someone. Make It A Venti, You Liar, Bloomberg Businessweek, May 19. 2014. I was floored. Speechless. The account manager told me a clear lie to my face. He smiled as he did it. It was a “I bet you can’t do anything about it” kind of smile. What made me realize, in part, why I needed to change jobs was this tactic of out and out lying was kind of common at this place, up through and including the most senior of managers. I had previously spent over 20 years in the Air Force and I don’t remember anyone ever lying to me. Yes, there were a lot of hedging and spinning of information, but not anything I’d ever identify as an outright lie. In general in the military we knew that a lie — even a small one — was pretty much the end of our career. Since I didn’t have the art of the lie down to the science that so many others did, I found I was at a disadvantage. It was as if I was trying to play tennis by following the rules but other folks could cheat at will (no that ball wasn’t out — even though it never even got over the net). There did seem to be a protocol for liars. It was OK to lie, clearly and out in public, if one was trying to save face. If you for example failed at something, one could lie, and everyone else would pretend that it was not obvious and then let the person slip away. I made a mistake a few times by simply saying something like “no, let’s not make things up, let’s stay focused on fixing this problem …” and I discovered that I was the one considered offensive, and not the person hiding behind the obvious lie. I later recall waiting days and weeks for a person to “play out the lie” before we could finally do something about the issue. I found my biggest advantage in this war on truth to be my passion for understanding what was really going on in any situation and my focus on objective data to illuminate the situation. When I had a lot of good information and people knew that then people who would quickly make something up to try and avoid responsibility had a harder time doing it. In one place, I noticed that we use to have a great challenge with people coming in and telling us our project had something wrong such as a requirement wasn’t implemented correctly. They would say something like “I reported this weeks ago and you said you would fix it!” I took to the habit of writing everything down or following up with an e-mail, so I had a record of the concerns. One would think that a good project manager would track these kind of things, but on these projects I was helping out with, we relied an awful lot on just verbal agreements. These were mega projects with eventually tens of thousands of issues (as recorded in our defect and issue tracking database) and so we didn’t try to track every little utterance. On my projects I did this with such fidelity that the amount of “you missed this, I told you earlier” occurrences all but disappeared. If someone brought up an issue they knew they were on record and had to fully do their part. These mega projects with tens of thousands of issues to be worked and that level of issues had made it easy for people to claim “you dropped the ball, I didn’t” when it was not the case. Having and keeping an objective record of what goes on can help offset the unfortunate tendency of some folks to, simply put, lie. 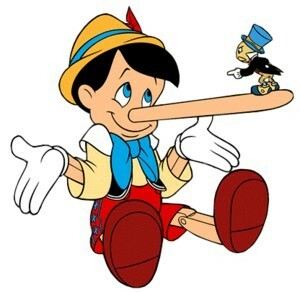 If lying does not have consequences than even the most professional of organizations can slip into a culture of the “big white lie.” Such little things can build to the point where our ability to quickly and efficiently handle issues is weighed down by an inability to actually get and act on good information. Why do the work when we can just guess or make it up without consequences? How good is the honesty and accuracy of your team’s reporting and of your corporate culture?